The hosts of popular Grannies on Safari® travel series, Regina Fraser and Pat Johnson, have put together a stunning 138-page collection, showcasing some of the most photogenic places they have been since their award winning international show began in 2006. The Grannies are two best friends who reinvented themselves in their retirement days to live out their dream – globetrot around the world and produce a travel show. This is the first book they have published using their extensive travel library of over 10,000 photos. The book contains breathtaking views of Morocco, Zanzibar, South Africa, Egypt, Japan, South Korea, India, Turkey, Argentina, Peru, Uruguay, Puerto Rico, the Caribbean Islands and Canada. “The photos are not just scenic, they show people, food and culture – things that best represent the countries we visited,” says co-author Regina Fraser. The collection also expresses their love for travel, culture and art – a mantra, the Grannies believe, that helps broaden cultural appreciation in today’s diverse, global community. A special introduction and endorsement by A. Barry Rand, Chief Executive Officer of AARP, reminds readers that the Grannies are great examples of people who believe “it is never too late to pursue your dreams.” AARP is the third season sponsor of the Grannies on Safari® travel series currently airing on public television stations nationwide. “The photos, like the exotic spice island of Zanzibar, capture the magic of many of the places and connections we made while filming our show,” says co-author Pat Johnson. When they’re not traveling, the Grannies are busy blogging for the Huffington Post, AARP.com and American Airlines’ BlackAtlas.com. 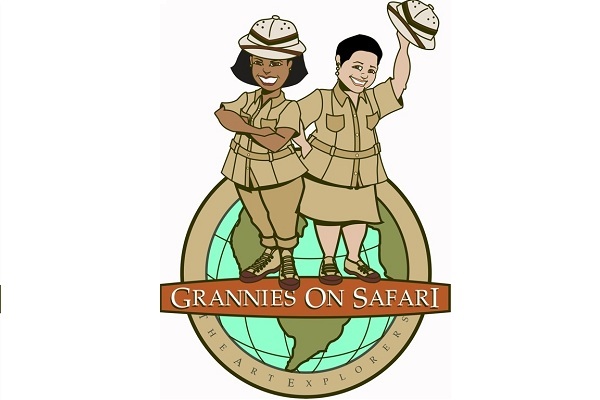 They offer expert travel-health tips on Sharecare.com and help connect children around the world with their “flat” character, Flat Grannies on Safari™ and their friend Flat Stanley®. Experience the world with the Grannies in six of their latest adventures to India, Peru, South Africa and Tanzania. For local listings go to, WTTW’s Channel 11, American Public Television or Create®TV.